What if? Robert Lewandowski has no cause for regret in his stunning career but, from time to time, he asks himself that question and starts to wonder. 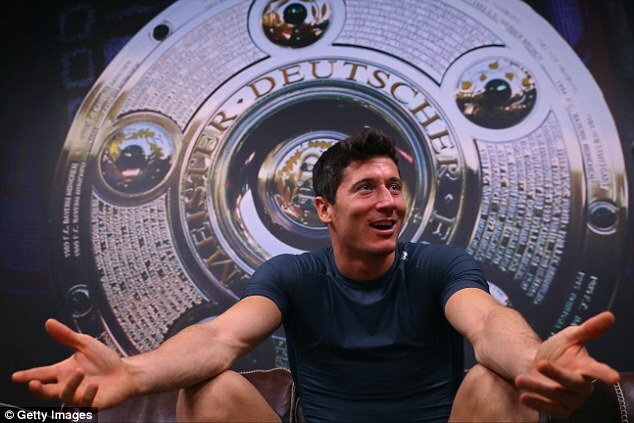 Here he is, sitting in a studio at Bayern Munich’s training base, looking every inch a world-class striker. His frame is greyhound sleek but his physique ripples. 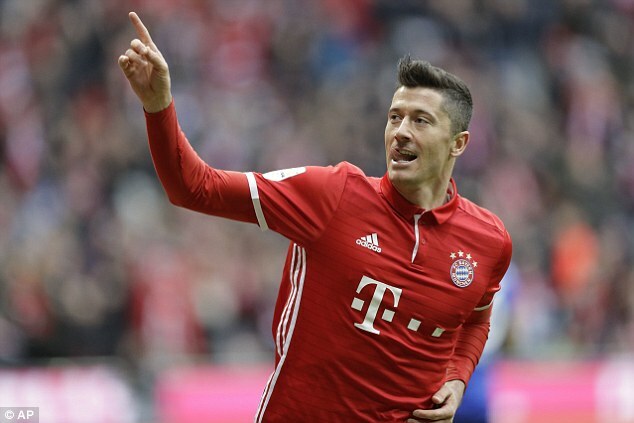 Lewandowski is trained to the minute and relishing the opportunity to tear into Arsenal in the Champions League on Wednesday. The prospect of Lewandowski playing in England has always stirred the soul, the quality that has seen him plunder 106 goals in his last 146 Bundesliga games would enrich the Premier League. How would he have fared? Had nature not intervened in April 2010, he and we would know. ‘Ah!’ he exclaims, reclining in his chair. Lewandowski joins his hands together and starts to tell the story of how close he came to joining Blackburn Rovers seven years ago. This was his sliding doors moment, an episode that changed his destiny. The ‘cloud’ to which he refers was the fallout from the eruption of Mount Eyjafjallajokull, an Icelandic volcano. 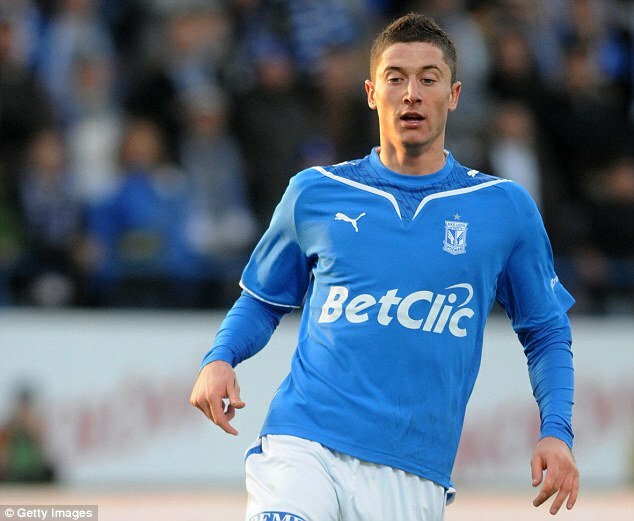 The ash that billowed into the atmosphere made air travel impossible in parts of Europe so Lewandowski, then of Lech Poznan, was left grounded and a £4million transfer was off. ‘I met Sam Allardyce,’ says Lewandowski. ‘It was in Poland after one game. I thought he was a good guy, a very good coach. He was prepared to take a young player who was something new and might be something special. He was a big person but wanted to come (to Poland to see me). HOW DOES HE COMPARE TO EVERYONE ELSE? And that was where he became a star. Under Jurgen Klopp’s guidance, he morphed into the perfect striker — quick, strong, with two good feet and a prodigious leap. 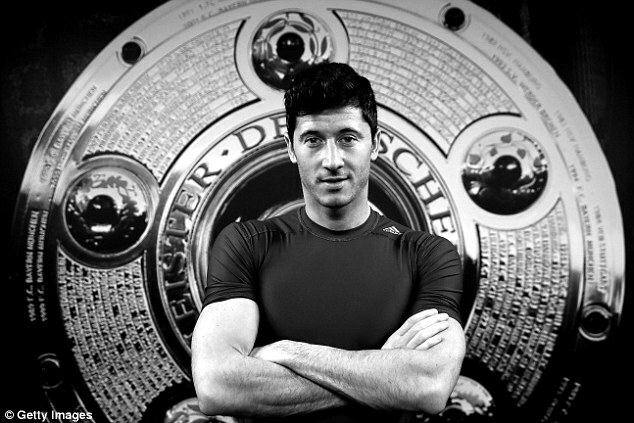 ‘Lewy’ was the icon of the Borussia Dortmund team that won the Bundesliga twice and reached the 2013 Champions League final. 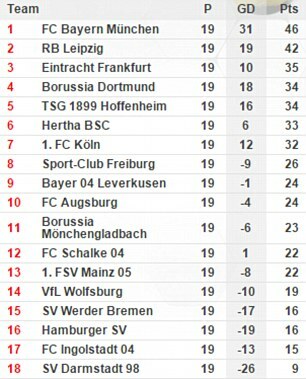 Klopp’s influence, it is clear, was crucial. 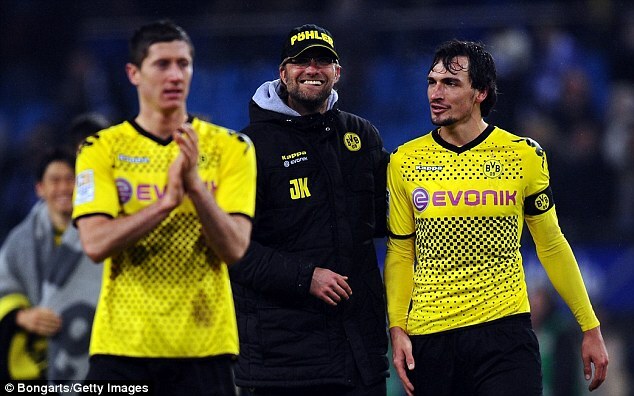 He smiles warmly when the name of his old boss is introduced but there is also a mischievous glint in the eye when he divulges a secret from Dortmund’s training ground that led to an improvement in his finishing. ‘He was the one who gave me belief,’ says Lewandowski, his English faultless. ‘In the first three or four months in training, we would have this game — him against the striker. There would be a bet between me and him. ‘In the first few training sessions, he was always winning! After that, not so much! Every time after, he lost! He didn’t want to play any more! It was €50 a game and by the end I had a positive balance! But I saw for the first time with him how important it was (to) train. No rough edges need polishing now but, at 28, he is still committed to self-improvement. He grew up in Warsaw with his dreams of playing professionally fired by the nights he was allowed to stay up and watch Thierry Henry play for Arsenal in the Champions League. There have been many other influences. Lewandowski is one of a small but select group to play for both Klopp and Pep Guardiola — the others being Ilkay Gundogan, Mario Gotze and Emre Can — and says Guardiola ‘opened his mind’ to the way he should look at things on the pitch. But it was his wife, Anna, who made him look at things differently away from the pitch. Aside from being an expert in karate — she won a bronze medal at the 2009 World Cup — Anna has written four books on nutrition and her guidance in terms of what he should be eating is crucial. It is only when you stand next to Lewandowski that you appreciate why his team-mates at Dortmund used to call him ‘The Body’. But his shape has not just come from spending hours in the gym. ‘As a striker, you are playing against big defenders,’ he says. ‘They try to throw you around. I try to play in behind them and I need power. I know that I have to go to the gym and train. I train all the time. I know what I need and it isn’t every day because that isn’t good. ‘Sometimes for breakfast I eat cornflakes, sometimes eggs, sometimes (steak) tartare. It’s better like this. I don’t have a strict diet where I have to eat 100g of this, 200g of that, but before I had a problem with sweet things so I cut them out completely. ‘Three or four years ago I had to eat a sweet thing every day but now I don’t eat them anymore. Maybe sometimes I will eat some dark chocolate but nothing else. It’s much better like this. Now if I see some chocolate or cake on the table I just don’t want it. It is an insight into what makes him tick but the overriding motivation is a thirst for honours — it is why he dismissed a lucrative offer to move to China in January — and, with the Champions League, there is a sense of unfinished business after three successive semi-final defeats. When he discusses Arsenal, Lewandowski is respectful and highlights the dangers that Theo Walcott, Alexis Sanchez and Mesut Ozil pose — ‘the main dangers,’ he stresses — but conquering Europe is the Holy Grail for Bayern. 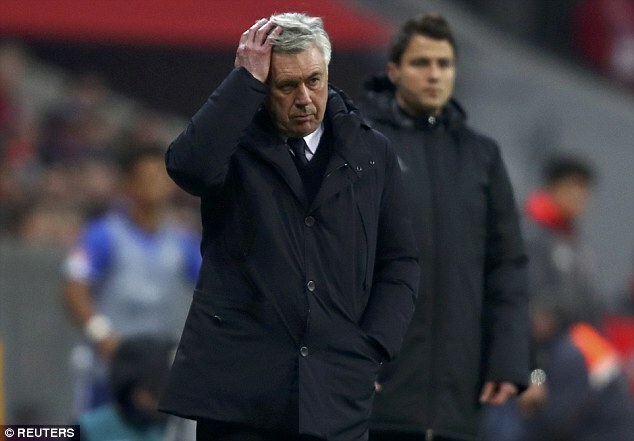 This has been a difficult campaign, a transition following three remarkable years of Guardiola to Carlo Ancelotti’s style, and results have fluctuated, leading to claims that all is not harmonious behind the scenes. None of that will matter, though, when they tackle Arsenal. ‘It is always the same when a new coach comes to a new club,’ says Lewandowski. ‘The new coach needs a little bit of time to understand what he wants to do and what we want to do. We have had some opportunity in the winter break to train and work on things.